or print your power cheat sheet. will impact your next race. 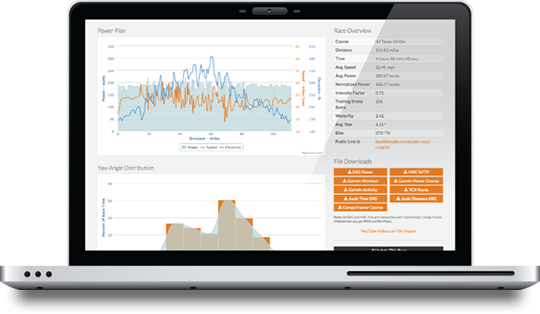 Our math and physics engine takes your power data, course info, and race day conditions to predict your race performance and create the perfect power plan so you can hit your best bike split ever. 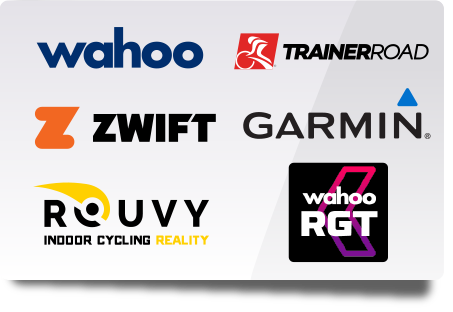 You will setup an athlete profile with data like weight, height, FTP, MaxHR, bike type, wheel type and components to name a few. Then select an existing course or create a new course to ride and later share. With your data we calculate CdA(drag coefficient), rolling resistance and mechanical loss. 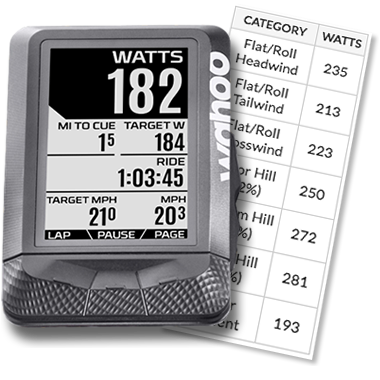 Mix in your course's distance, altitude changes, wind direction, several 1000 more variables and we're ready. Using our math and physics engine we will output the best possible power based plan to allow you to have the fastest bike split possible given the course conditions and any power limitations.